4267 Barbrick Street – Sherrills Ford, NC 28673 Bedrooms: 4 Full Bathrooms: 3 Half Bathrooms: 0 Square Feet: 1,800-2,200 Lot Size: 1.05 Wonderful WATERFRONT home on large lot. Perfect as a second home or residence. Open plan with split bedrooms for extra privacy. Most rooms have a view of lake. 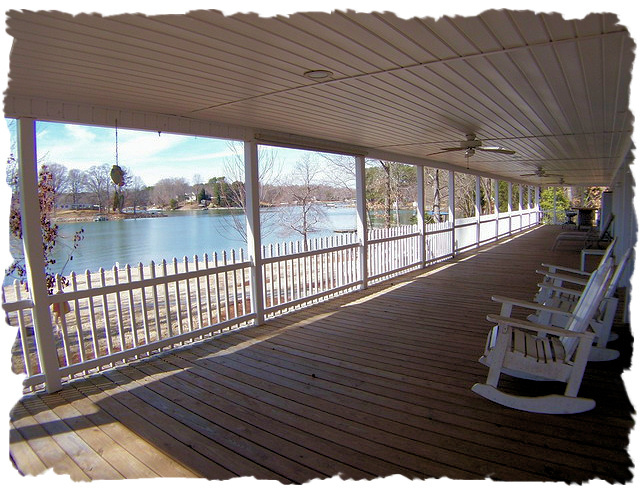 Spacious owner’s suite with sitting room overlooking covered deck & Lake Norman. Enjoy the fireplace & lake views from your great room. Huge covered deck for outdoor entertaining or relaxing lakeside. Also, private pier/dock with boat slip & covered entertaining area. Added bonus is the 40 x 30 garage/shop with storage above. What more do you need? Good location! Close to shopping, restaurants, schools & more… Some properties that appear for sale on this website may subsequently have been sold and may no longer be available.